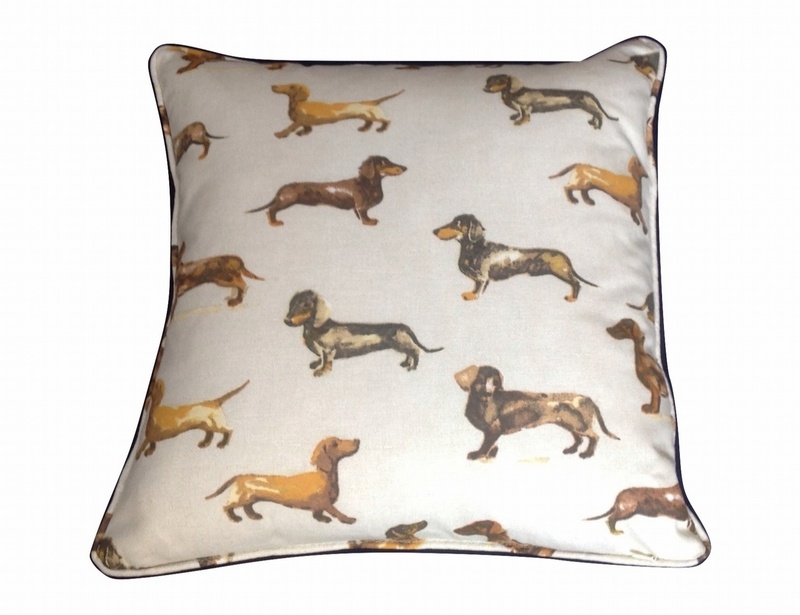 Luxury Dachshund design fabric cushions to enhance your home. The removable cushion cover is made from superior quality fabric. This fabric is 100% Cotton, hand wash is recommended. Our inner cushions are genourously filled with hollow fibre to give extra support and comfort. We are proud to say that all our goods are handmade in the UK. Removable cushion covers are 100% Cotton, hand wash is recommended.